Greg Van Avermaet is ready to face the Tour of Flanders with the objective of taking the victory at home. The Monument's win has proven to be elusive in the palmares of the Belgian rider. Van Avermaet has an impressive palmares that includes victories in Paris-Roubaix, Gent-Wevelgem, E3 Harelbeke, Omloop Het Nieuwsblad and the road race of the 2016 Olympic Games of Rio de Janeiro, but the win in the Belgian monument is one that has been elusive as he has finished twice in the second position and one in the third place. 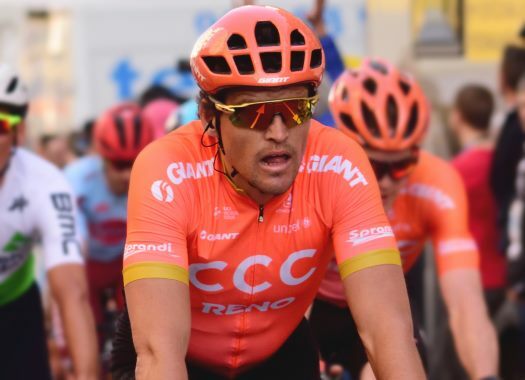 "Greg Van Avermaet may not have stood on the top step of the podium at the Classics so far this year, but he has proved race after race that he is one of the strongest and we have full confidence in him for the Tour of Flanders," said sports director Fabio Baldato. "We are taking seven healthy riders to the start line, all of whom will do the maximum they can to support Greg until the finale. "Greg performs best when the race is super hard and given the length of the Tour of Flanders, it's the perfect race for him. If everything goes to plan in the race then we expect Greg to be fighting for the win, so we hope this year may be his year. Van Avermaet accepts that it is a difficult race to win but it's confident in his shape. "Every year, I line up at the Tour of Flanders saying the same thing," he commented. "I'm strong, I'm confident in my form, and I'm motivated to win. Nothing has changed this year. I know I'm capable of winning the Tour of Flanders but it hasn't happened yet in my career. I hope to change that on Sunday. The Classics are unpredictable so everything has to go your way. If everything goes my way then I'm confident that I can be back on the podium this year. "We saw at Gent-Wevelgem how chaotic it is when the race is aggressive from the beginning and this definitely suits me, especially in a race like the Tour of Flanders which is longer and harder anyway. Normally, the race is fairly controlled until we hit the last 100 kilometres or so and then it's all about positioning, the legs, and a little bit of luck."